Since there is a pasar malam at Tampines Central and I invited my friend to come over after her working hour to join me for dinner and a drink to talk about our lives. I suggested her to have dinner at few restaurants in Tampines Mall and Tampines One. And, in the end, we chose to pick some local food from the pasar malam. It has been umpteen years I did not eat Ramly burger. It is not an healthy food. I do not even remember when was the last time I tried the Ramly burger when I was a student in my home town, Kuala Lumpur, Malaysia. There are two stalls, one at each end, selling the Ramly burger and we simply chose one which ended up queuing for more than 30 minutes to get 3 burgers. 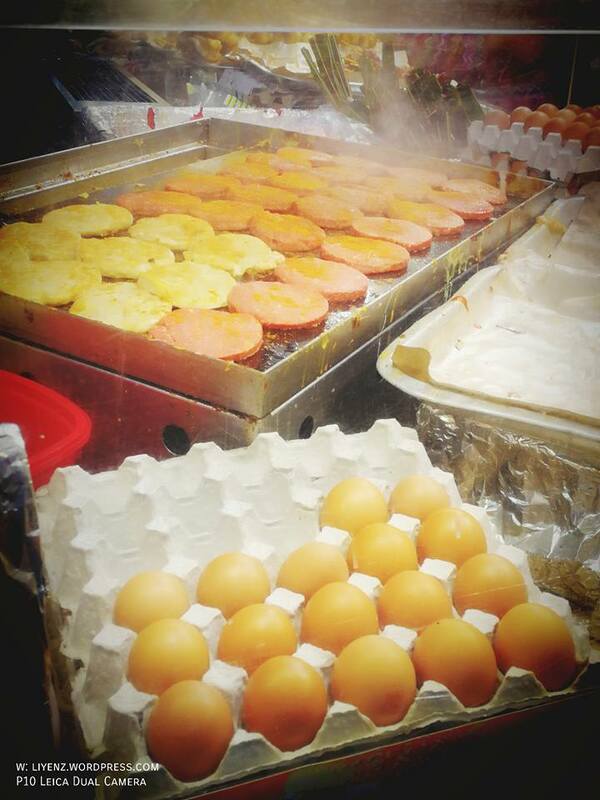 The cook prepared the burgers in batches, each batch his team and himself can prepare 32 beef and chicken patties. Next, we bought six takoyaki with mixed favours. 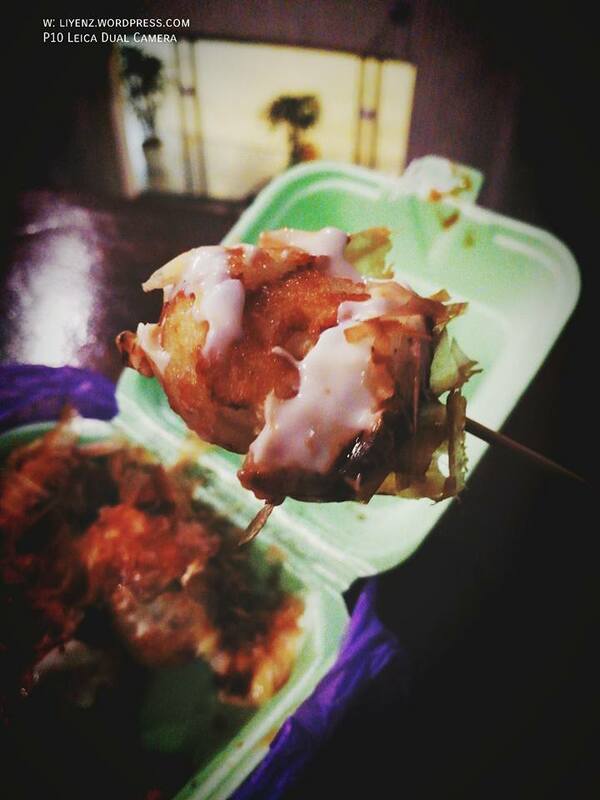 Somehow, I feel this takoyaki does not worth buying at all. 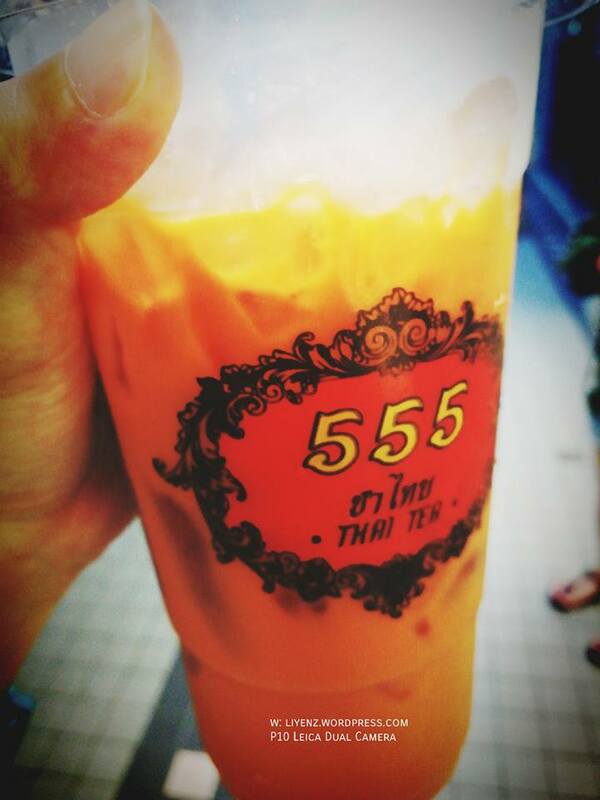 It is not as sweet as the normal Thai milk tea we usually can get from the Thai restaurants or those stalls in Bangkok, Thailand. It is slightly diluted and I find it just nice because I do not take much sugary food. That night, our topics of gossip included stories about our normal day to day lives, work and people. Interestingly, I shared about someone I liked again (I used to like). Since, I was quite busy with another project and my previous group of teammates have not been making their stories about the client and me, things seemed back to normal. Moreover, the family trip with my friends to Tasmania and Melbourne in September gave me a strong influence that I need to find someone into my life. I am grateful the illusions and feelings which confused me back in August to October has gone. Although, I have been opened up to look a guy, a life partner after joining a seminar organized by the New Creation Church for Singles, I think it is something I can slowly work it out.